…the literal and figurative peripherality of migrants should not only be understood as evidence of marginalisation but also as a site for a complex politics of visibility and invisibility that has significance for the wider politics of migrant presence in Korea. The narratives of migrants suggest that the periphery is also a resource for making alternative ways of life–for building social networks, for maintaining unauthorized status, and as a space where social movements led by migrants can be built to challenge marginalization. This recuperation of the periphery as a space of potential has political implications. While these spaces should not be romanticized as making freedom in mobility possible, scholars and activists need to recognise that making migration fully visible in the manner of the liberal reform of migration regimes is not always empowering for migrants. Instead, visibility can be a tool of migration management that can lead to greater disciplining of migrant bodies and their mobilities. A more radical and tenuous response to migration must hinge on opening up mobility to more indeterminate futures–on making space for migrants to direct their own mobilities where migrant desires rather than migration controls shape the patterns and conditions of movement. 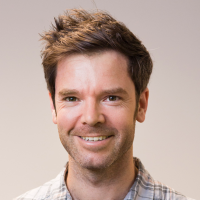 Francis is a senior lecturer in the School of Environment at the University of Auckland. His most recent research explores the intersection of transnational migration and urban form and experiences of the city, questioning the ways mobile lives become part of different urban spaces, the lived experience of different parts of cities, the structuring of migrant lives through urban form and materiality, the role of migrants in the emergence of relations between places, and the significance of migration for the public life of cities. 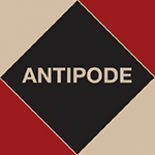 As well as Antipode, it has appeared in Social and Cultural Geography, Migration and Development, Ethnic and Racial Studies, the Journal of Ethnic and Migration Studies, Geoforum, Discourse, and Children’s Geographies. How do lives reach each other, what do they want or need from all the different instantiations of living? How much do particular enactments of living really need to engage all those others taking place in the larger surrounds; how much do they simply need to know that specific ways of doing things are there, somewhere, without necessarily needing to interact with them? When interaction is necessary, how much has to be conceded and recalibrated? In cities where thousands upon thousands of things are going on simultaneously at any given time, how do particular lives know what it is exactly that is relevant to them, that poses serious implications for who they think they are or what they want to be? How far can inhabitants trace the impact of their own actions, and how far and to whom should any ethical obligations extend, and in what form? These are questions that are critical to the efforts undertaken by people residing in districts they largely constructed by themselves so as to now deal with dispossession and the disentanglement of long-honed collective operations. How do residents of the residual urban cores of Jakarta, and many other cities of the Southern latitudes, deal with the conundrums involved in attempts to update these operations in the midst of multiple forms of urban intervention, some of which are replete with opacities of uncertain potential and effect? Even if the more opaque interventions seem inoperable, never concretely realized, they nevertheless generate unanticipated impacts and frictions. Even the massive volume of projects and infrastructure that is realized sometimes ends up instigating futures far from that which was promised. The presentation considers what might be taking place at the tension-filled, disruptive interfaces between varying logics and forces of spatial transformation and updated operations of autoconstruction. This entry was posted on 26 July 2016 by Antipode Editorial Office in Video Abstracts and tagged becoming undocumented, labour geographies, marginality, migration, mobile commons, narratives of migration, recognition, Seoul, South Korea, the urban experience, undocumented migrants, urban form, urban periphery, visibility.